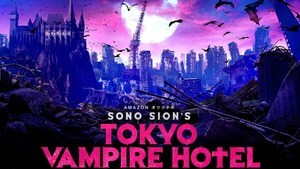 Maverick Sion Sono (aren't all big Japanese directors mavericks?) has been working on an original series based on the idea of "humanity battling against a vampire tribe." No word if it's post apocalyptic, but the card to your left certainly implies it. It's got action, it's backed by Nikkatsu, and it's set to premier on Amazon Japan on June 19th. Let's hope for some English subs so we don't have to wait for fan-subs. Amazon Japan is also behind "Bachelor Japan" in case you cared. Manami (Ami Tomite) is approaching her 22nd birthday. When she is targeted by mysterious vampires, a woman K (Kaho) with extraordinary powers rescues her in a furious battle. Who on earth are these mysterious bloodsuckers, and what sort of woman is K?